I always tell you to grab a drink along with your WIP for your podcast enjoyments, but today you need to get your nicest china out and grab a cake, biscuit or sweet treat of your choice because today Jess James and Clare Devine are coming over to KnitBritish for a tea party to celebrate their Tea Collection hat pattern bonanza! 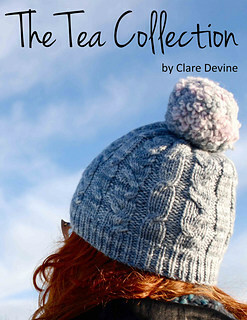 The Tea Collection initially launched at the end of last year and there are currently five hats and two cowls available in the ebook. Next month there will be another six hats added to this wonderful collection to make 11 hats which is a tribute to Ginger Twist Studio’s address on London Road. To celebrate the launch of the full collection Jess and Clare are here to talk about the hats, the yarn, their tea parties – actual and virtual – Yarndale (26-27 Sept), kits, KALs and MORE. There is tea, there is cake, there are impromptu jingles and there is a lot of fun; do join in with us! A note: As with nearly every single time I do an interview there is background noise! Someone in my building was getting new windows, so there is a little banging and drilling, but if I do say so myself I did a bloomin’ good job of reducing significantly but I apologise if this ever encroaches on your listening pleasure. BritYarn is committed to bringing you the best in British wool and patterns from indie designers including today’s guest Clare Devine! To share and celebrate in a love of British wool, and to find some of the hat patterns discussed in this episode click the logo! Take a look at the hats so far, there is a great mixture of weights in DK and above in the collection and beautiful textures and stitches to keep every knitter happy. I’ve been testing some of the new hats and believe me, they are totally awesome! The completion of the Tea Collection will be prefaced by a wonderful tea-ser hat, Acai, which will be free for a very short period of time. Look out for that hitting ravelry on the 23rd September. Jess and Clare will be at Yarndale the following weekend with ALL the tea hats and you can try them on and buy your yarn! If you don’t already own the e-book – which first came out last year – you can currently buy it for £10. The cost will rise to £13 when the rest of the hats are launched in October and your ravelry library will be updated when that hats go live. Launching the e-book in real tea party style Jess and Clare are hosting a get together at Pekoe tea on 17th October, in Edinburgh, with tea talks and tastings as well as knitting! The tickets for this have sold out, but fear not! At this event Clare will launch a virtual tea party and KAL and there will be a lot happening online that evening too. Keep an eye on Clare’s blog for more information on this coming soon. There will be prizes for this KAL, which runs right up until Christmas (perfect for gift knitting!) and these will include tea goodies courtesy of Pekoe. | TEA HAT KITS – LIMITED EDITION! Keep an eye on Jess’s website for exciting Tea Collection Hat Kits in Ginger’s Hand-dyed. These will be available for a limited time only and will be available ahead of the Tea KAL. They will go on sale via the website on 2nd October. Clare and Jess were tight-lipped about other tea plans they have brewing, but Clare did say that this collection is just volume one! She also hinted at a mini-tea collection, for the wee people in your life, which will be forthcoming. The patterns which were exclusive to the NSS club earlier this year will shortly be available to purchase as single patterns on Ravelry, for £3.50 and as an e-book for £9. If you just want the Edinburgh Shawls, you can get this as a mini-ebook for £6. 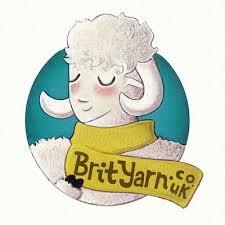 If you are going to Yarndale there will be a printed pattern brochure of the NSS patterns for £10. Sign ups for the Neighbo(u)rhood Sheep Society 2 will start at Yarndale and then go on general sale on September 29th on Ginger Twist Studio website. This time there are only full memberships available, rather than monthly options. The club yarn and designs will go out in January, March and May 2016. From 16-18th October Clare will be in Edinburgh and will be teaching her last workshops in Auld Reekie before she moves off to sunny Australia in 2016. There is Magic Loop on 16th October, Perfect Toes – a new class – on 17th October and Beginner Socks on 18th October. 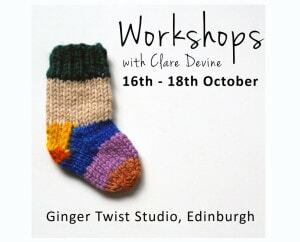 These workshops are also taking place during Socktober so do sign up over at the Ginger Twist website if you are interested in learning some new sock techniques. Clare has been hosting this KAL and it ends at the end of September. You can still join in to share knowledge, swap your skills and celebrate in woolly and knitty glory. Check out the Yarn and Pointy Sticks group on Ravelry and check out the images shared on social media with the hashtag. All images used belong to Clare Devine and are used with kind permission. But all that shows is a black rectangle with direction arrows and subtitles. I’m sorry – I don’t know what to suggest! It’s not this side. Have you tried using chrome or ie ? Perhaps an ad blocker is doing something? I’ll get onto my husband about it. He understands such things. I merely use them to find interesting knitting! well, in the meantime you can spy those hats (and more) over here at Clare’s website, where the slideshow images come from.